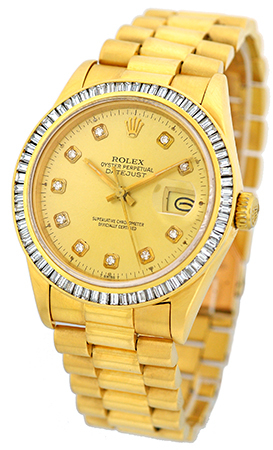 Certified Pre-Owned Gent's 18K Yellow Gold Rolex Diamond "Datejust". 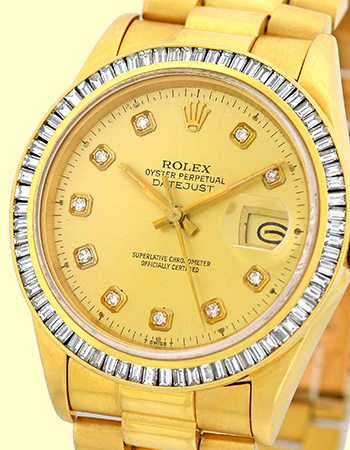 Custom Geneva Collection® Champagne Diamond Dial, Sweep Second Hand, Date Indicator. Custom Geneva Collection®18K Yellow Gold Baguette Diamond Bezel, Quickset Movement and Sapphire Crystal. 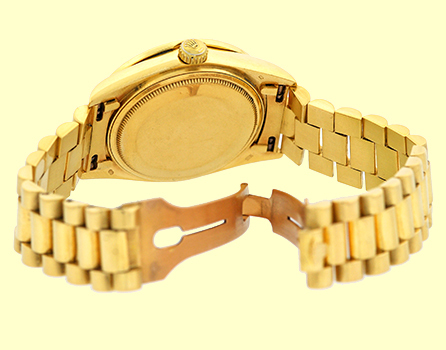 Matching 18K Yellow Gold Rolex "President" Hidden Clasp Bracelet. 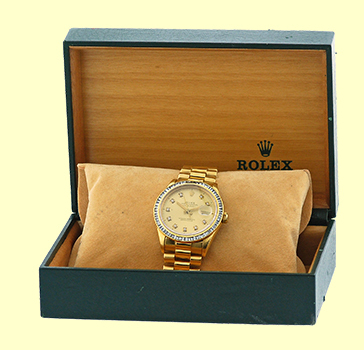 Certified Pre-Owned, Excellent Condition with Rolex Box, Booklet, Hang Tag , and complete with Capetown's Lifetime Warranty!! Geneva Collection® Champagne Diamond Dial.